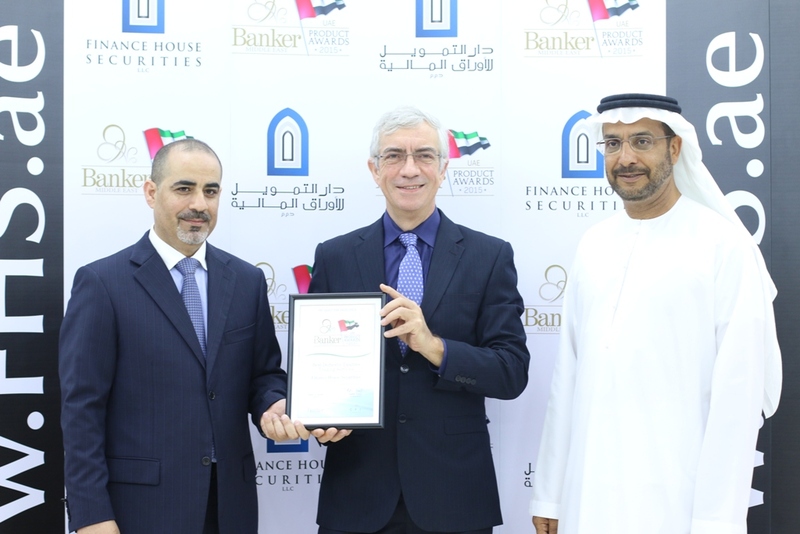 Abu Dhabi – 23 March 2015 – Finance House Securities (FHS) announced that it has won the Best Domestic Equities Trading Service award at the Banker Middle East Product Awards 2015 for the second consecutive year. Since inception, FHS has been allotted to ensure maximum customer satisfaction by offering conveniently tailored services and accessible online solutions that brace users in extracting considerable value and insightful features. This award comes in acknowledgement of several initiatives, one of which is the 3-month commission-free online trading campaign, which has enabled customers to open online trading accounts and place orders free of commission margins, from the date of account opening. “Our vision is one that not only seeks to surpass market expectations, but attempts to lay the groundwork for enhanced, more secured and optimized brokerage services. On this occasion, I would like to shed some light on our main factor behind such success, being without a doubt our clients. Their consistently amplifying trust in our capabilities and our highly professional team has allowed us to jump leaps into the industry and reach our current position in the UAE financial markets,” concluded Al Khatib. The Banker Middle East Product Awards are annual awards that seek to recognize banks, financial institutions and brokerage firms that have either had a substantial impact in unveiling innovative techniques or have recorded groundbreaking achievements within the UAE.